The benefits of an online booking system are substantial. If you want to keep track of your business, have no missed calls, and connect with your customers, online booking software provides you with the opportunity to improve your business and create more profit. Online booking benefits include: more customers, increased revenue, saved money, Reduce travel time, eliminate phone and email tag and reduced no shows. Melbourne, Vic, Nov 7, 2015 bookitlive is a software company that specialises in services for effective and efficient online booking management. The comprehensive software simplifies and streamlines the many client management responsibilities of a Go Karting Centre, allowing them more time to spend connecting with customers. It is the brand's mission to build positive relationships between companies and their customers, and they do this by supplying reliable, user-friendly booking managing software. bookitlive is a leading supplier of online booking & payment software that aids in the efficiency of Go Karting Centre business, has added an advanced client search functionality to their already extensive list of features. This new feature will allow the business to quickly find customers that have made recent booking or have not booked for a while. Once these customers have been identified the business can effectively communicate with them via email or SMS to generate more business. bookitlive is the leading booking software of its kind. The state of the art technology allows users to sell packages and promotions, keep track of activities and customers, and make bookings all at the touch of a finger. The software also automatically alerts the Center when there is a booking. 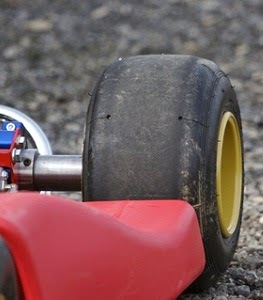 Online booking & payment is truly an asset to any Go-Karting Center. The tech-savvy features will allow any Center to seamlessly schedule, track, and close out actions all in one convenient location. The people at bookitlive have worked tirelessly to stay up to date on new technologies to ensure the best features are available. The advance client search feature is a way for Go-Karting Center business owners to stay on top of client marketing and grow their business. This software is the best gift any Indoor Go Karting owner can give him or herself. It is affordable, reliable, backed by a tech support team, and, most importantly, allows business owners the time away from the computer screen to build essential customer relationships. Melbourne, Vic, Nov 6, 2014 bookitlive is a software company that specialises in services for effective and efficient online booking management. The comprehensive software simplifies and streamlines the many client management responsibilities of a Car Servicing Centre, allowing them more time to spend servicing and repairing cars. It is the brand's mission to build positive relationships between companies and their customers, and they do this by supplying reliable, user-friendly booking managing software. bookitlive is a leading supplier of online booking software that aids in the efficiency of Car Servicing Centre business, has added an advanced client search functionality to their already extensive list of features. This new feature will allow the business to quickly find customers that have made recent booking or have not booked for a while. Once these customers have been identified the business can effectively communicate with them via email or SMS to generate more business. bookitlive is the leading booking software of its kind. The state of the art technology allows users to sell packages and promotions, keep track of activities and customers, and make bookings all at the touch of a finger. The software also automatically alerts the Centre when there is a booking. Online booking is truly an asset to any Car Servicing Centre. The tech-savvy features will allow any Centre to seamlessly schedule, track, and close out actions all in one convenient location. The people at bookitlive have worked tirelessly to stay up to date on new technologies to ensure the best features are available. The advance client search feature is a way for Car Servicing Centre business owners to stay on top of client marketing and grow their business. 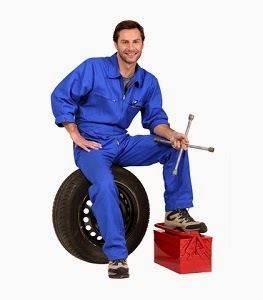 This software is the best gift any Car Servicing Centre owner can give him or herself. It is affordable, reliable, backed by a tech support team, and, most importantly, allows business owners the time away from the computer screen to build essential customer relationships.